Metal recycling is one of the biggest sectors due to a strong connection with industrial manufacturing, construction and demolition, machinery, engineering and this list may be continued endlessly. 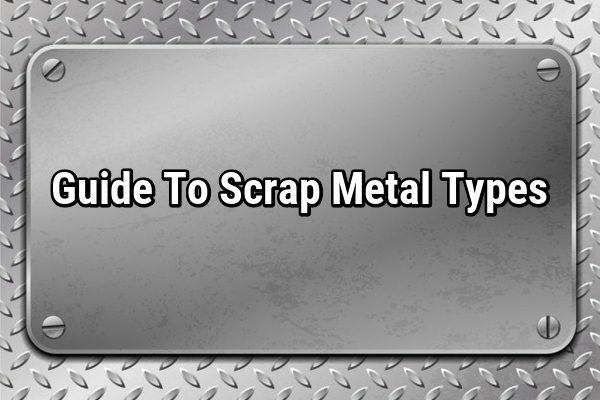 Though, not many know that there are different types of metal that you can recycle. The two main categories are ferrous and non-ferrous. How do they differ? And what do those distinctions mean when it has to do with selling scrap metal? Seems pretty easy, doesn’t it? Though, this is just theoretical knowledge and it’s not so easy to determine the right type just looking at a random item. Fortunately, there is a number of various other aspects that set apart the two. These metals are largely used for their pull-off strength as well as endurance in cars, rails, housing construction, large-scale piping, most of things you use around the house for fixing i.e. different tools and hardware as well as knives you cook with. As ferrous metals are created with the high amounts of carbon, such material and alloys are susceptible to rust. That’s why, if you see rust you may be sure it’s a ferrous metal except for wrought iron ( as it resists oxidization being so iron pure) and stainless steel (thanks to its high chromium content). Most ferrous steels likewise have magnetic behavior, which makes them very useful in the production of big motors as well as electric home appliances. Have you ever think about why you can stick so many different magnets to the fridge? Because it’s made with ferrous metal. tonnes of steel were recycled in the United State. These metals are also strong as well as ferrous ones. But there are some important distinctions which make more preferable. For instance, non-ferrous metals are far more malleable and additionally much lighter, making them fit for usage where weight is top priority after strength. Due to the fact that non-ferrous metals consist of no iron, they have a higher resistance to corrosion and deterioration, which is why you’ll find these materials being used for rain gutters, water pipes, roof, cans and even aircraft. And as mentioned above, unlike ferrous metals, those are non-magnetic. And what about recycling? Though aluminum takes the 3rd place among the most recycled material worldwide, many other non-ferrous materials like copper, brass and lead are reasonably limited, and metallurgists depend heavily on scrap product to earn new ones. Generally, ferrous scrap have the tendency to remain in excellent supply, so the rates have the tendency to be lower than many non-ferrous steels. The rates for steel and alloys remain rather stable on a month-to-month basis, going down or up only slightly. This is caused by the wide-spread practice of ferrous metal recycling all over the globe in high volume. Non-ferrous scrap, as noted previously, are rather harder to produce and work. This naturally makes the demand greater. While aluminum rates don’t rise and fall commonly as a result of recycling initiatives, others like copper and brass could change significantly in just a month’s time depending upon the demands of the marketplace. If you’re an individual scrap collector with a desire to sell scrap, it’s always best to check with a scrap supplier in your area to learn exactly what rates they’re supplying prior to you bring your materials to the backyard. iSustain Recycling provides information about the latest rates. Don’t hesitate to give us a call. If you have a commercial, industrial or demolition business, it is essential to analyze your specific scrap situation. Our team of specialists at iSustain Recycling not only will help identify what you have, but also provides an estimate for the collection and sale of your ferrous or non-ferrous materials.